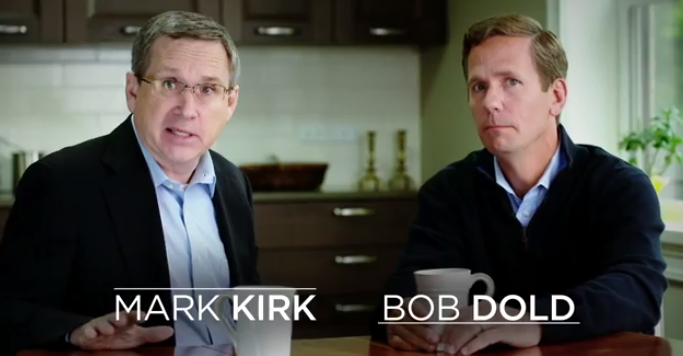 Bob Dold Rolls Out Senator Mark Kirk Endorsement "As A Great Team"
There may be no more powerful voice to voters in the 10th Congressional District here in Illinois than from our US Senator Mark Kirk. After all, the voters in the 10th voted repeatedly to send him back to Congress to represent their interests. That's why, it is so important to the Bob Dold for Congress campaign for Senator Kirk to come out so strongly not just *for* Dold, but importantly, *against* incumbent Congressman Brad Schneider. Saying "Dold is like me", Mark Kirk says that he and Dold "Make a Great Team". Kirk also points out to voters that Schneider is "part of the problem in DC". With the Kirk appearance and message, this spot will surely make voters all across the District pick up their eyes away from their phones and pay attention.